Brett is an experienced teacher. He has taught flute and whistle for Milwaukee Irish Fest, The Grand Canyon Celtic Arts Academy, and the UWM String-Along weekend and the Association Irlandaise in Paris, France, as well as privately. In addition to his interest in traditional Irish, Breton and French music, Brett’s interest in modern aesthetics of trad music leads him to create music that often imitates chamber music, striving to use the full range of accoustic effects possible on whichever instrument may be playing at the time. 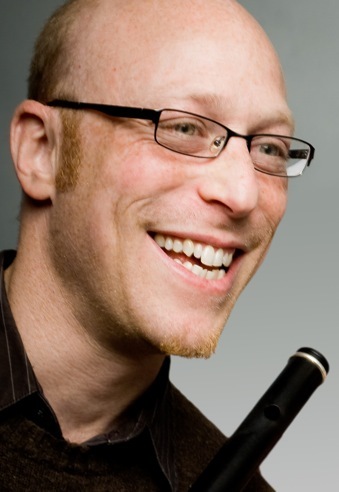 Brett Lipshutz began his love affair with the flute at the age of 7. After reading an article in Flute Talk Magazine at the tender age of 10, he saw his first Baroque flute in a photo of Robert Willoughby. From that day in 1984, he was destined to play it. In 1992, as a bassoon performance major at the University of Wisconsin-Milwaukee, he met Jane Bowers and began learning about the rich repertoire and style of the French Baroque. Since then he has given many concerts and has played with the Wisconsin Baroque Ensemble and the Madison Bach Musicians. He is passionate about education, and currently participates Milwaukee Symphony ACE and has recently created a baroque music collective in Milwaukee. Brett also enjoys playing contemporary music and transforming works for modern flute into playable pieces for the one-key flute. He is a huge fan of playing in art galleries and museums as well as mixing the visual, the kinesthetic and the sonic. In the summer of 2013, he inaugurated the musician-in residence program at the Haggerty Museum of Art, in an effort to increase the interaction between visual and sonic arts, as well as to increase awareness of the baroque flute.